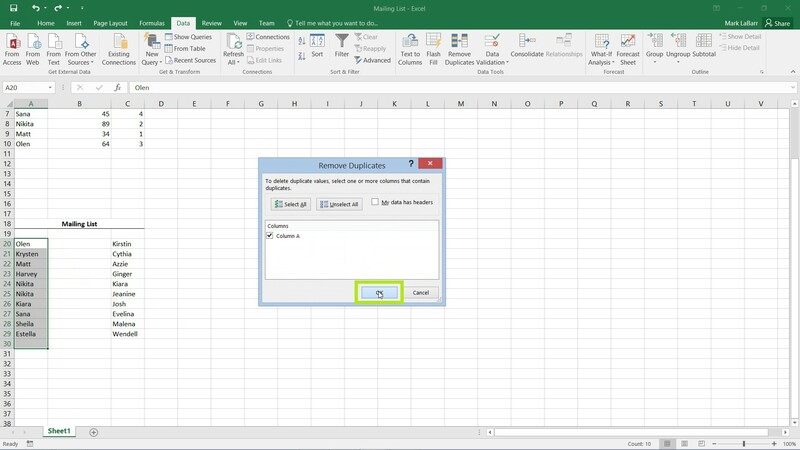 In this tutorial, we’re going to show you how to remove duplicate entries in Excel 2016. 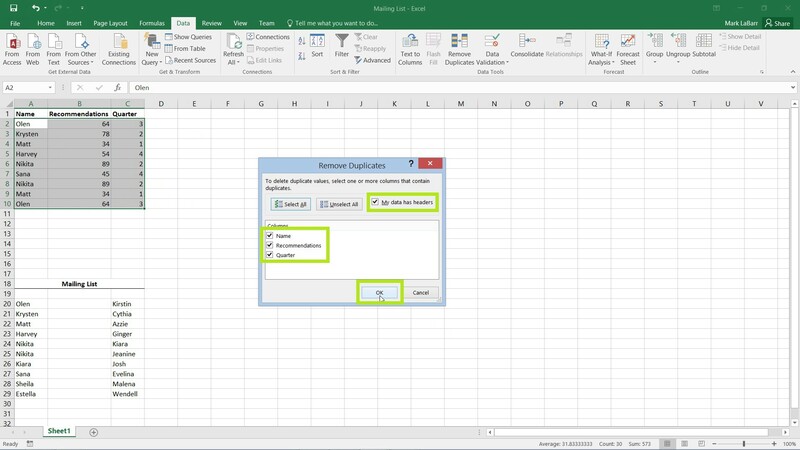 Then make sure the columns you want to remove duplicates from are checked. 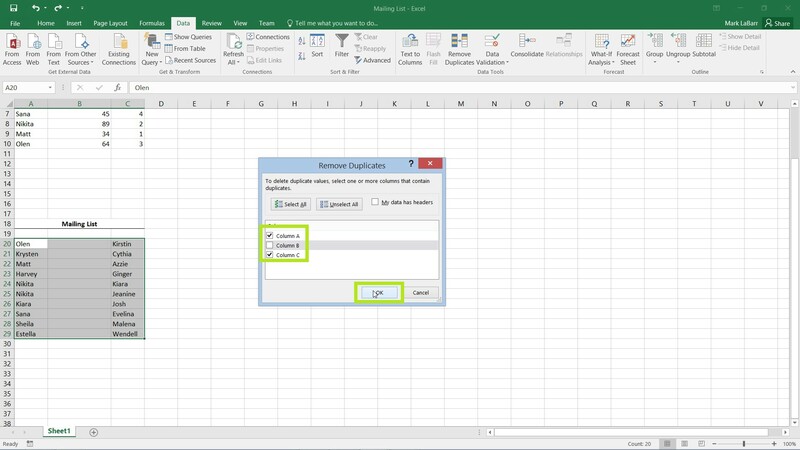 This takes all columns into consideration, so that Excel considers a duplicate an exact copy of the entire row. The Name, Recommendations, and Quarter must be the same value to be a duplicate. If only Quarter was selected, then rows with the same Quarter number only will be considered as duplicates. As you can see below, three duplicates were removed. If Quarter was the only column checked, then five columns would have been removed. Here is an example of a limitation. Say I wanted to remove duplicates from both of the columns selected below. For example, Kiara would be removed from both columns. 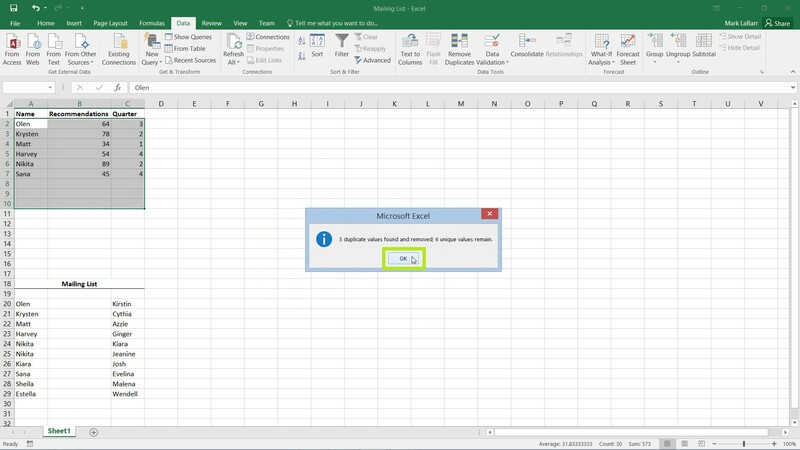 It wouldn’t work because Excel considers a whole row as a value. I can however, do the columns individually as shown below and remove Nikita for example. 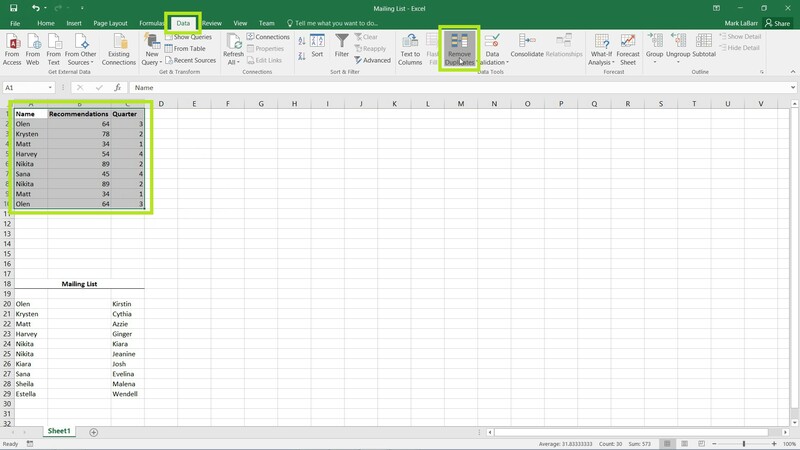 If you wanted to remove duplicates from both columns, you would need to put all the values in the same column.